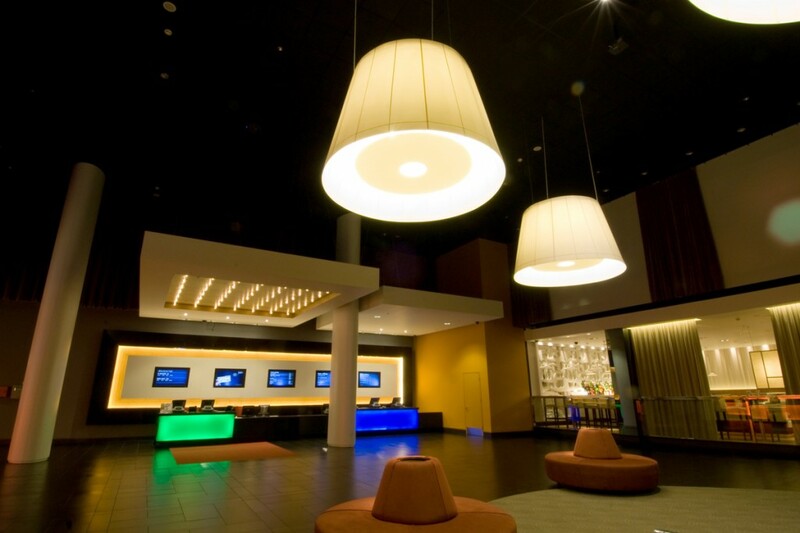 The site at Derby is one of several sites on which into collaborated with Showcase Cinemas to create a lighting scheme representative of a new type of cinema experience. The brief was to design for the public areas: entrance, ticket desks, food concessions, bars, restaurants and circulation; with the intention of rolling out similar designs across other venues in their portfolio. 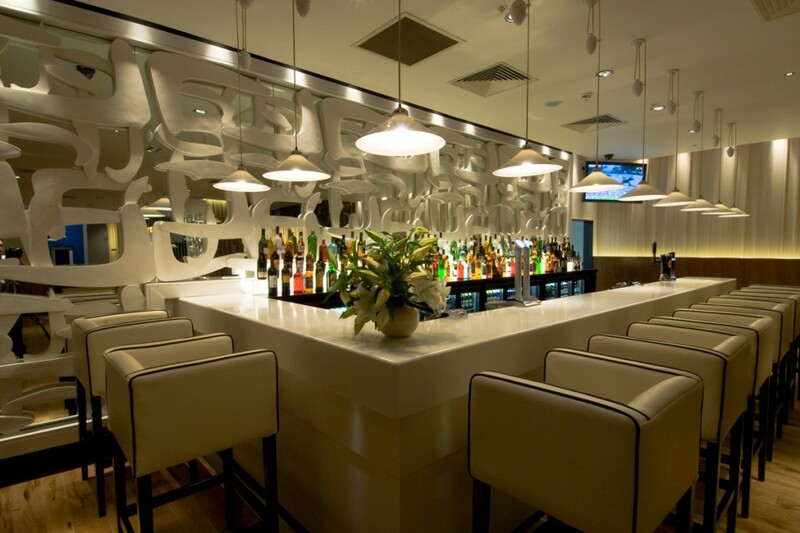 The lighting scheme was designed to not only create a destination bar and restaurant, but also enliven often very big windowless spaces. 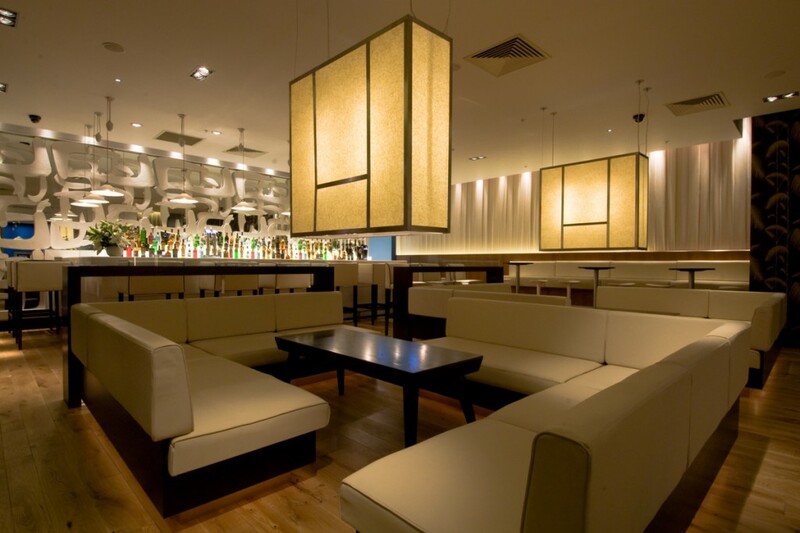 Large scale dimmable bespoke fabric pendants fill spaces with high ceilings, and a Hollywood feel is created by sparkle lighting rafts over ticket desks. 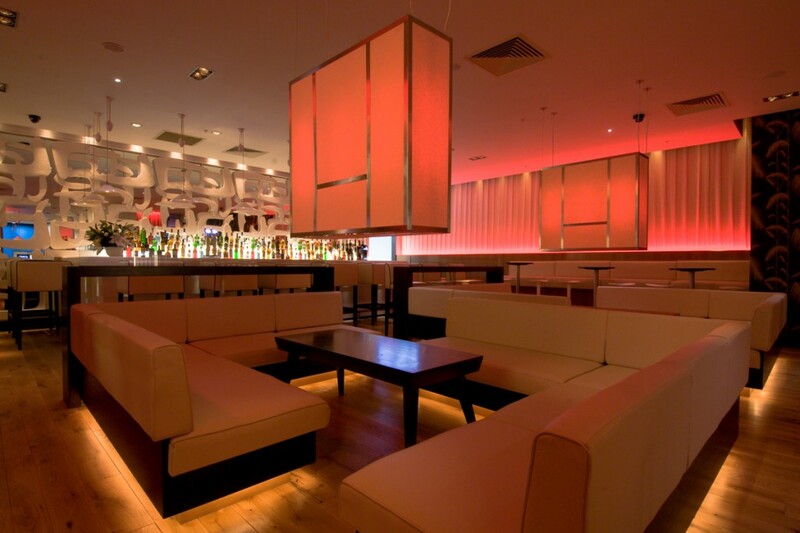 Bespoke boxed feature pendants sympathetically change to warmer colours post-dusk. 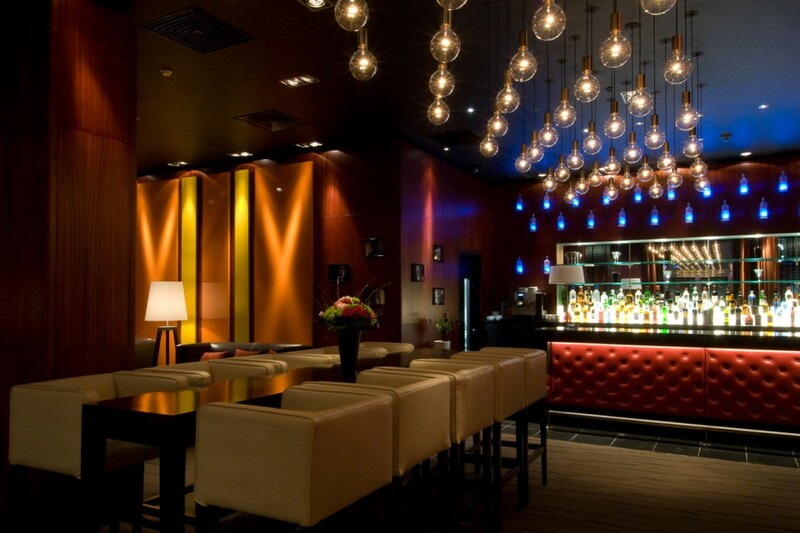 A fibre-optic-lit bottle wall adds a dramatic element to the bar. 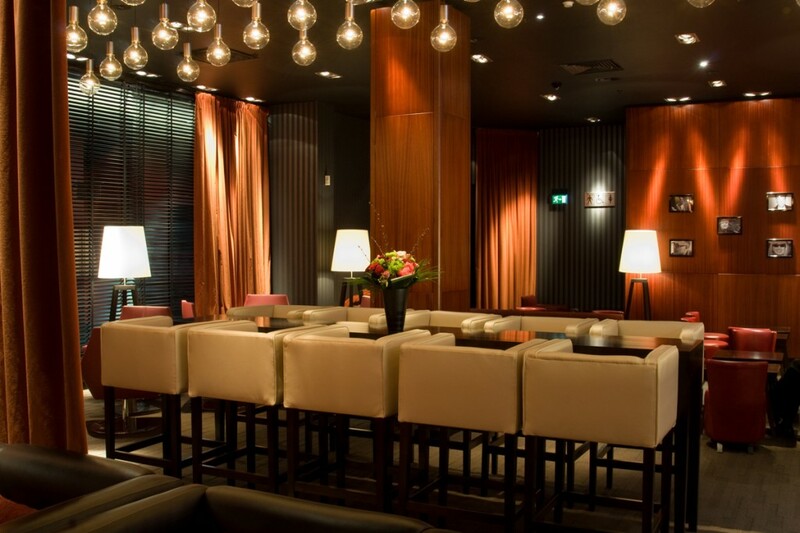 Tailored control-systems means the lighting can be easily altered to keep the spaces attractive from lunch to evening. 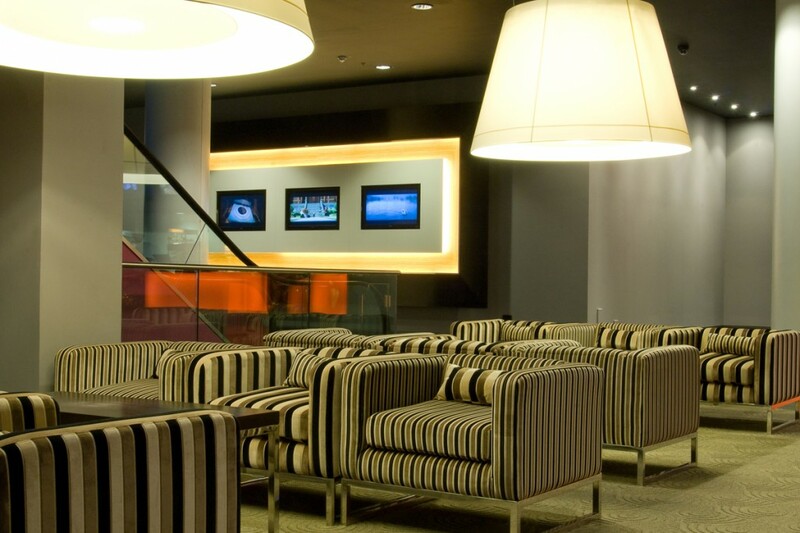 The lighting enhances a feeling of exclusivity, creating a cinema destination unlike others. The site at Derby is an apt example of the successful collaboration between into and Showcase Cinemas.